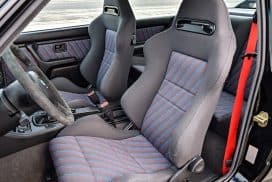 Problem: OEM E30 floor mats are NLA (no longer available). 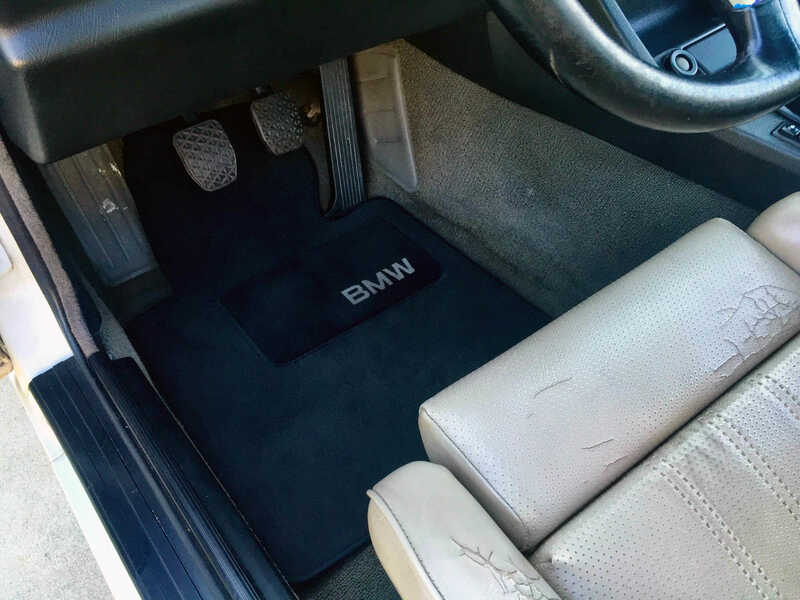 Original E30 floor mats are NLA (no longer available) to buy brand new. 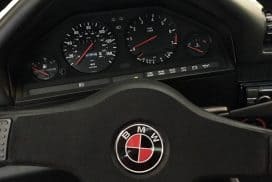 BMW discontinued making them. 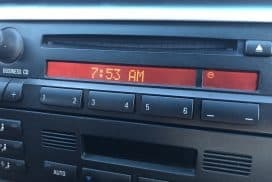 For those of us who want OEM quality and do not want to settle for aftermarket brands, what are the options? Luckily it turns out the E46 convertible uses floor mats that fit in quite well. 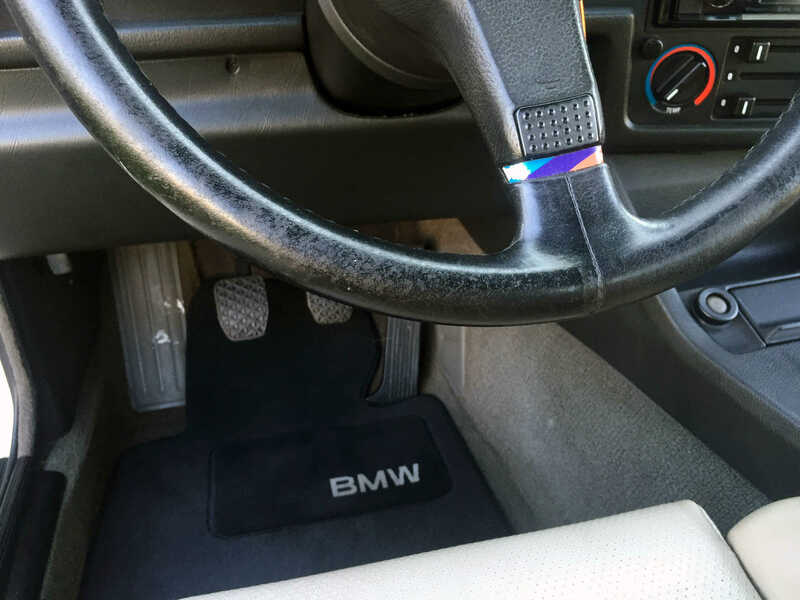 Although not a perfect cut around the dead pedal, most people will not notice and you can still enjoy the OEM quality of the thick floor mats BMW has to offer especially with the BMW logo printed in the heel pad. 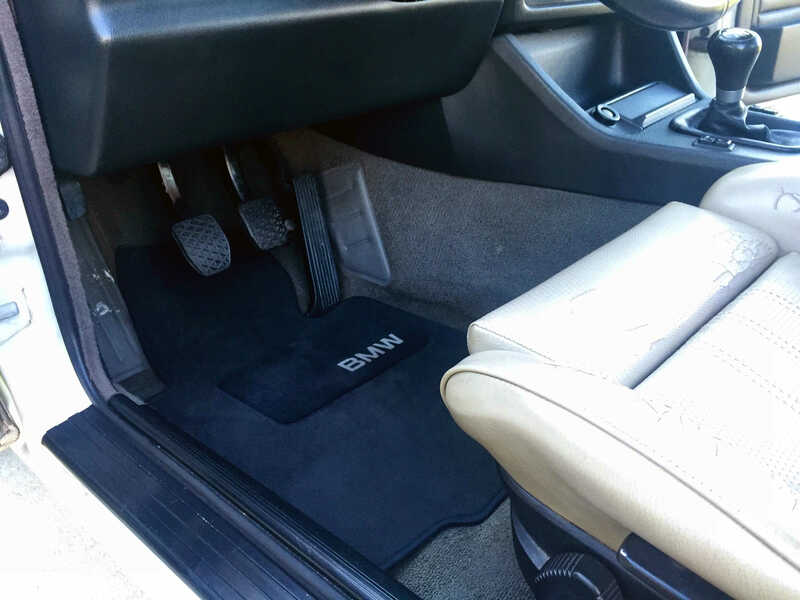 The E46 floor mats are readily available, have the velcro pads on the underside to keep them from sliding around while driving and they also come in a variety of colors. You can buy the complete set which comes with the passenger mat as well as the two small mats for the rear passenger. Consult with your local BMW dealership to order a set or look online. 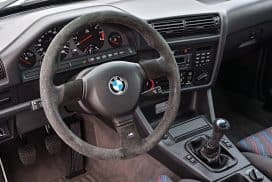 Ditch the Walmart generic floor mats and keep the OEM quality your E30 it deserves. 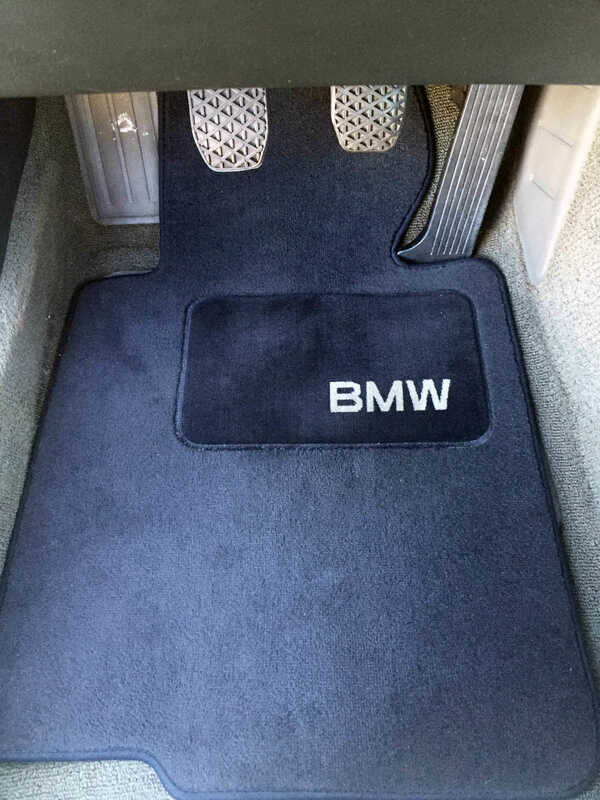 Another popular option is to use the E82 1 series rubber floor mats, these also fit great in E30 models. 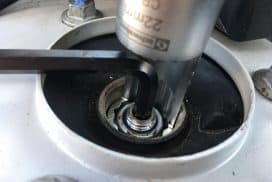 For black E82 1 series mat the OEM part number is: 51472239697, these will run around $55 new. Note this part number is only for the front seats. The rear seat set is part number 51472239697KT.